Pro Marine relies on a site with 25 years of experience. 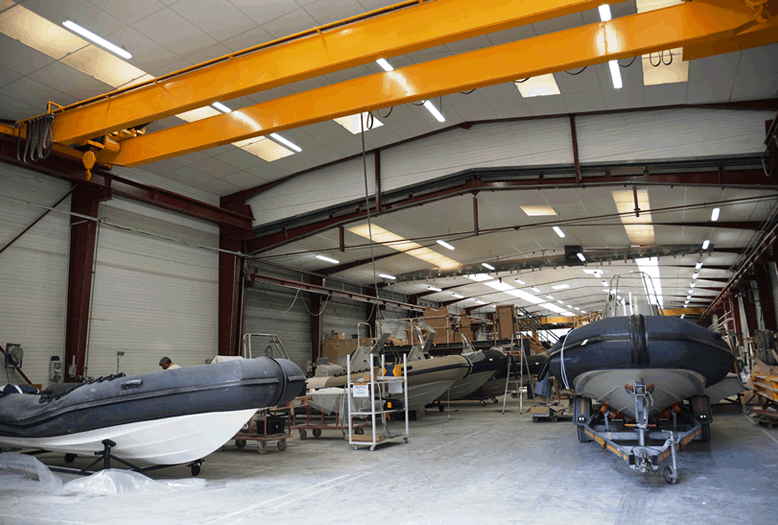 The company Pro Marine is based at a site benefitting from 25 years of experience in the transformation of composite materials, and is able to offer a complete range of professional, military and pleasure craft. Originally founded in 1995 to meet professional and military demand, Pro Marine has diversified into pleasure craft and develops boats resulting from this professional expertise with the perfect balance of design and robustness. Today Pro Marine offers global services including joinery, electricals, plumbing, mechanics, engines… and customised services according to each client’s needs, at whatever stage of manufacture.